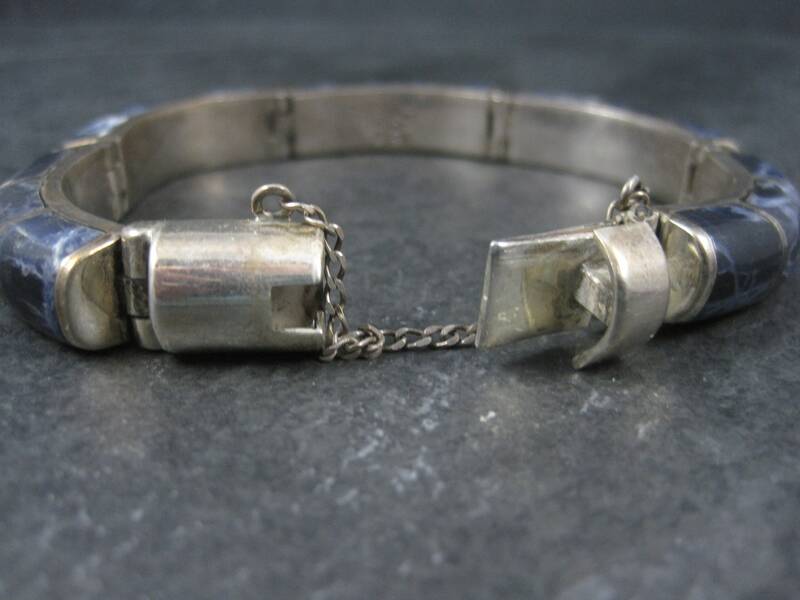 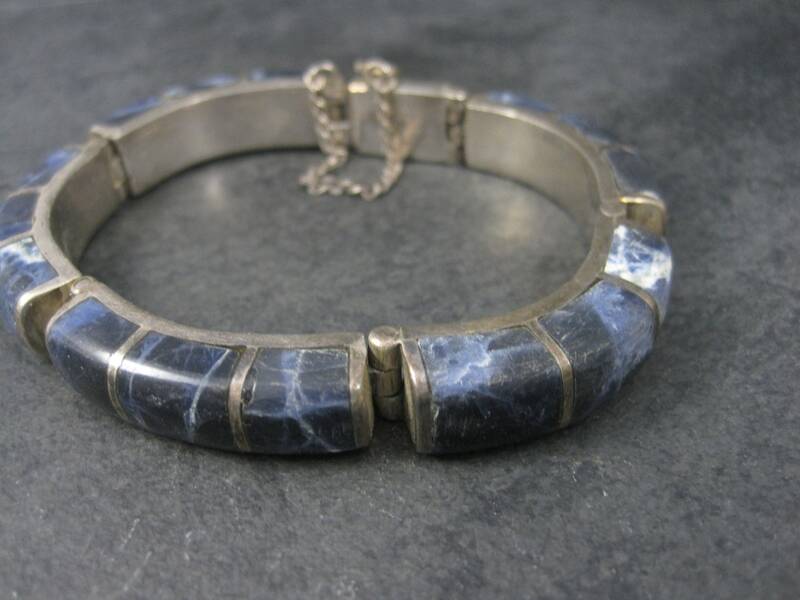 This gorgeous Mexican bracelet is 950 silver. 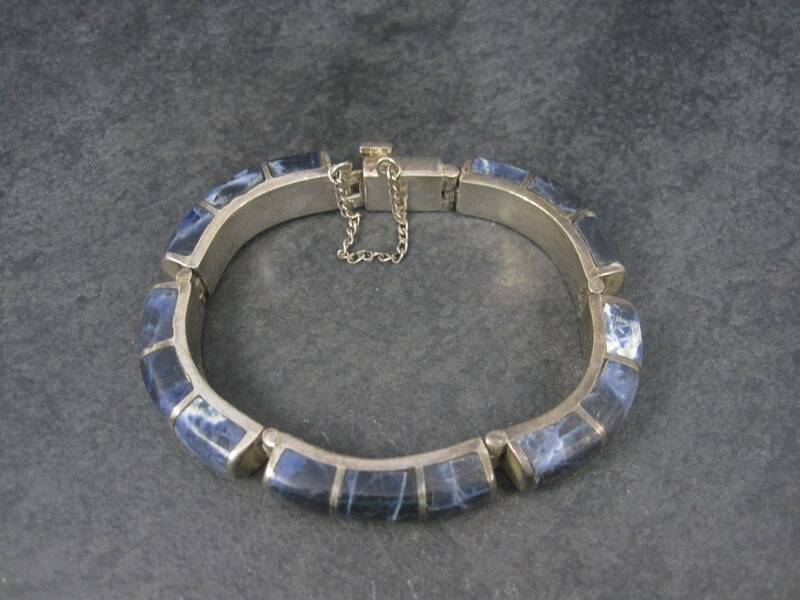 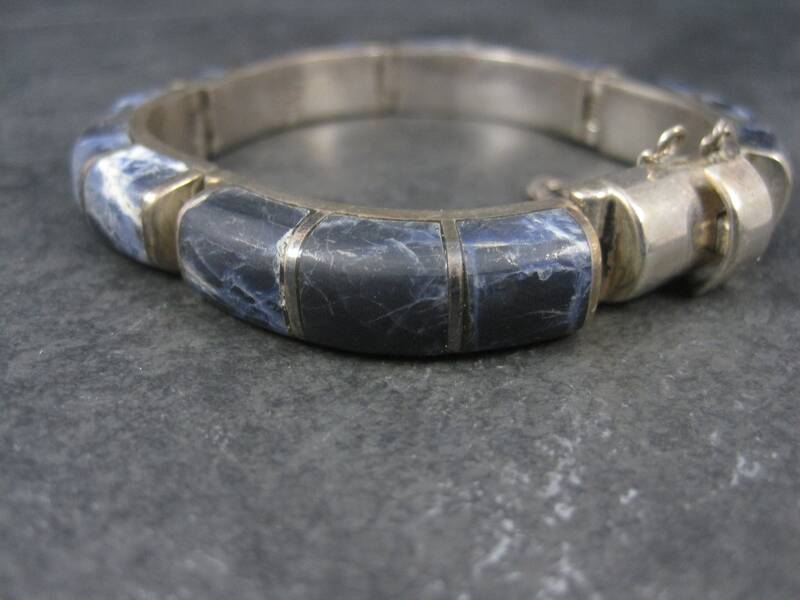 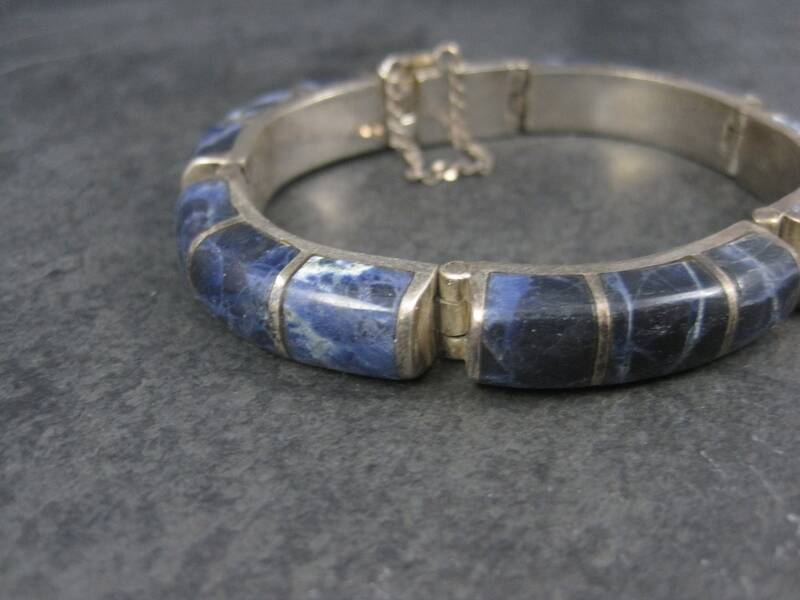 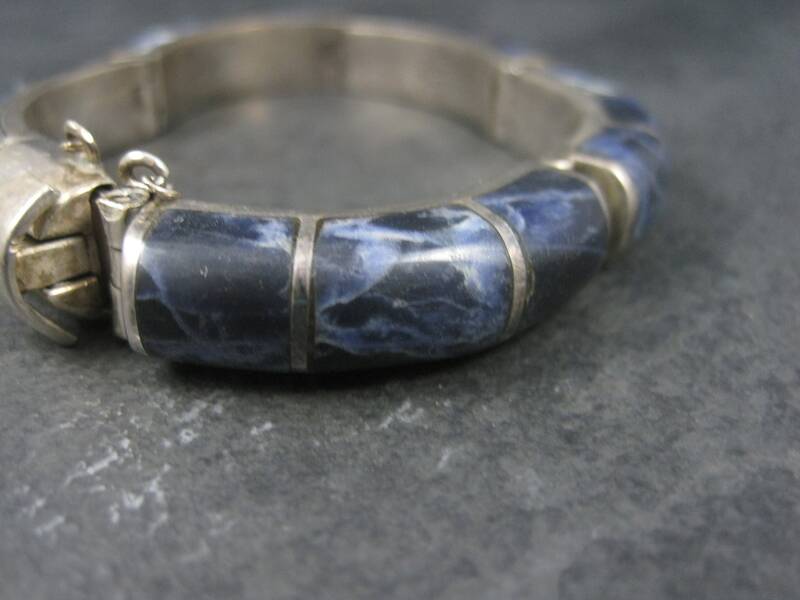 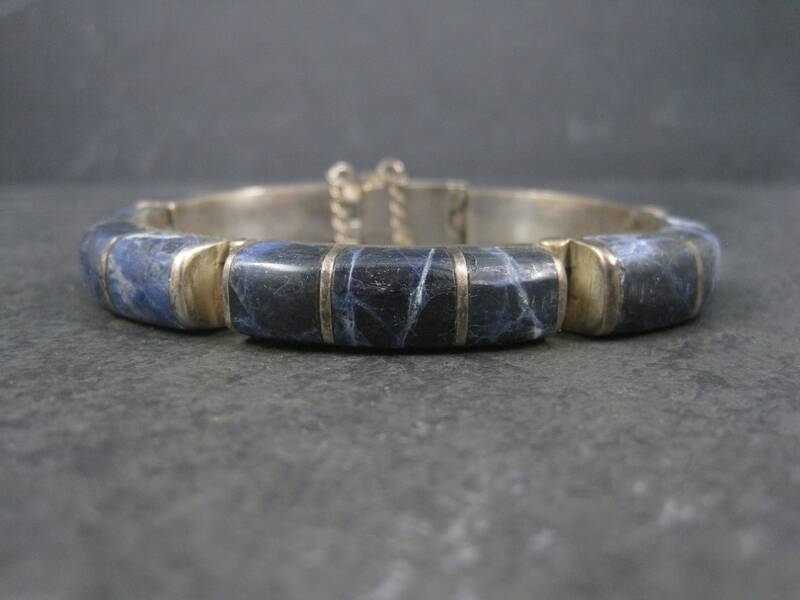 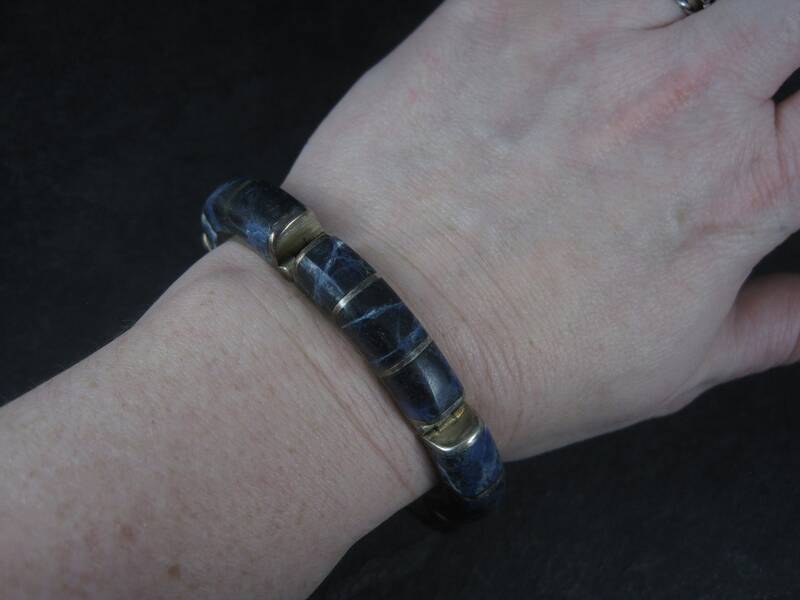 It features raised sodalite inlay. 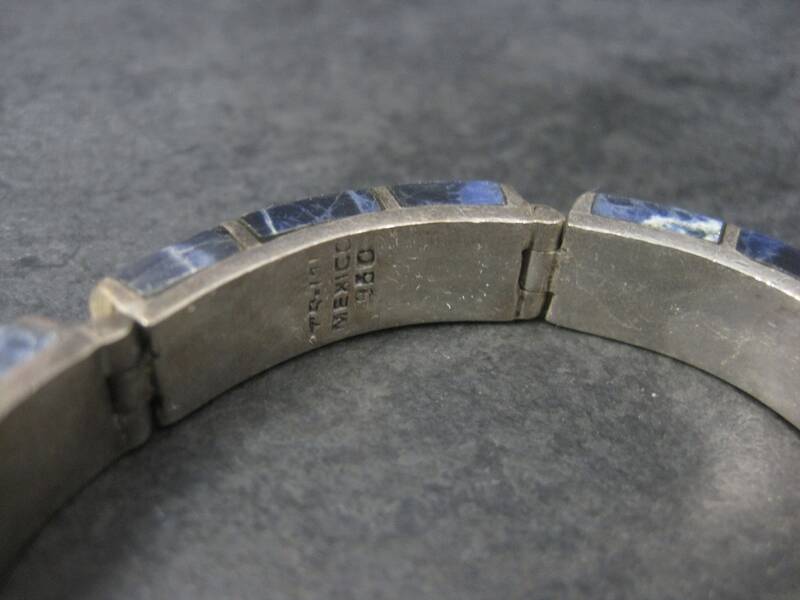 This bracelet measures 3/8 of an inch wide, 3/8 of an inch thick and has an inner circumference of 6 3/4 inches.